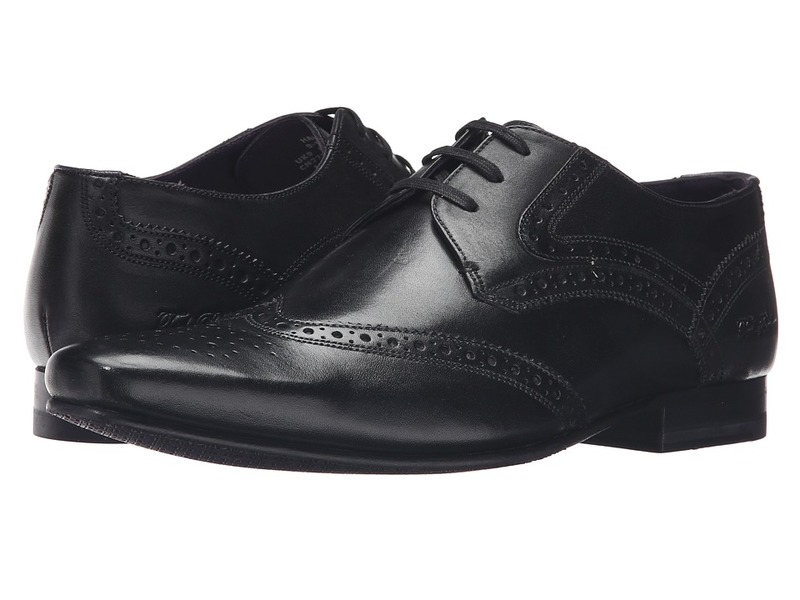 Every man needs that classic plain toe oxford for weddings, formal dinners, and professional business attire. 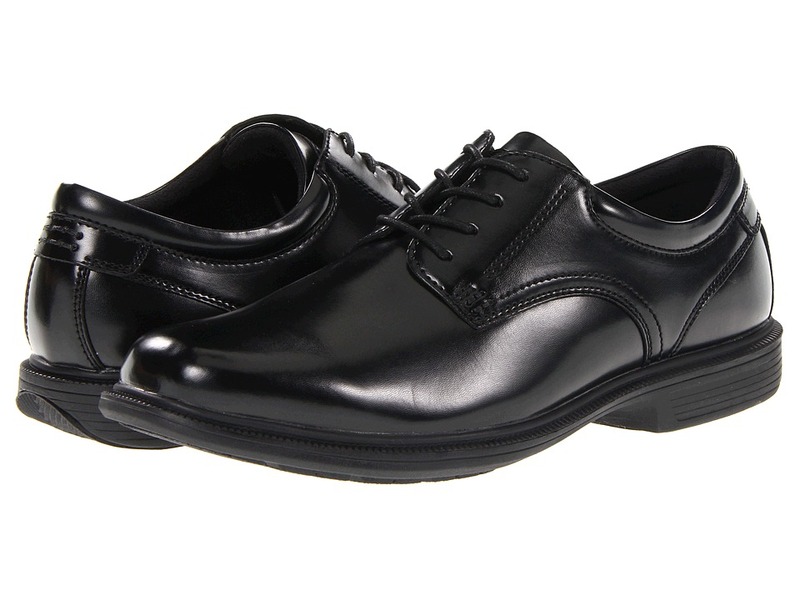 The Nunn Bush Baker Street Plain Toe Oxford with KORE Slip Resistant Walking Comfort Technology is just that. 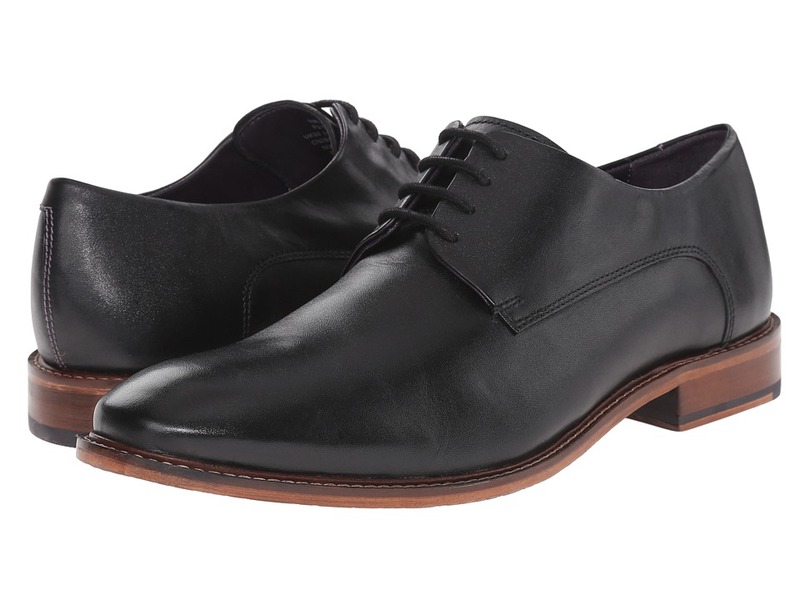 Smooth leather upper in a classic oxford silhouette perfect for all of your formal events. A padded collar for a comfortable wear. Traditional lace-up closure. Smooth man-made interior lining prevents painful rubbing and abrasions against your feet. Comfort gel footbed and dual density Kore technology midsole provide all-day comfort. Non-marking and slip-resistant rubber outsole offers flexible durability year after year. Imported. Measurements: Weight: 13 oz Product measurements were taken using size 11, width M (D). Please note that measurements may vary by size. Weight of footwear is based on a single item, not a pair. 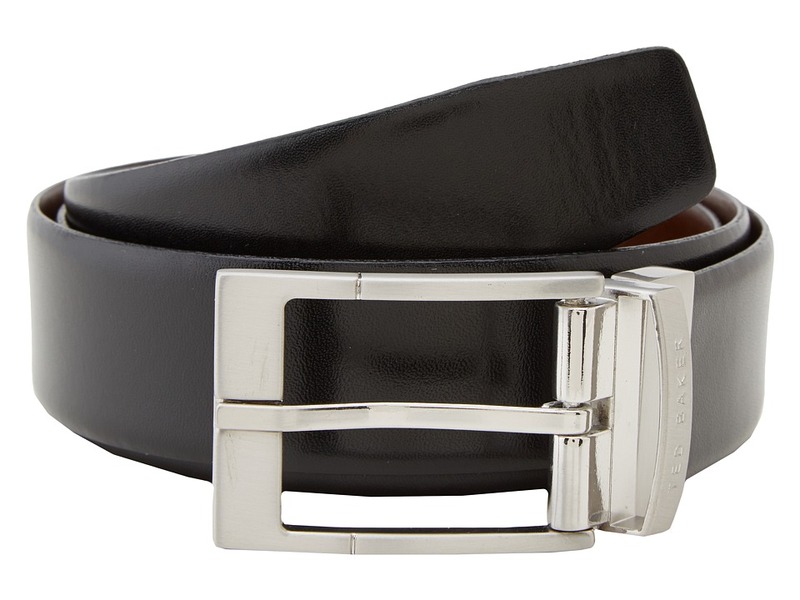 Add a touch of class to your business casual look with this handsome Connary Reversible belt. Made of leather. Lift and twist buckle to access the reverse side of belt. Silver-tone hardware. Single-prong buckle. Single strap keeper. Imported. Measurements: Width: 1 1 4 in First Hole Length: 31 in Last Hole Length: 35 in Weight: 4 oz Product measurements were taken using size 32. Please note that measurements may vary by size. Make a lasting impression when you flaunt your flawless style in the Ted Baker Peetch pump. Suede or satin upper. Slip-on design. Pointed-toe silhouette. Jeweled embellishment at vamp. Leather lining. Lightly padded footbed. Wrapped metallic heel. Man-made sole. Imported. Measurements: Heel Height: 4 1 4 in Weight: 9 oz Product measurements were taken using size 8.5, width M. Please note that measurements may vary by size. Weight of footwear is based on a single item, not a pair. Redefine casual style in the modern comfort of these pull-on boots. Leather or suede upper. Pull-on construction. Dual goring side panels. Back pull-tab for easy entry. Round toe. Leather and textile lining. Lightly padded leather insole. Stacked heel. Leather sole. Imported. Measurements: Heel Height: 1 in Weight: 1 lb 3 oz Shaft: 5 in Platform Height: 1 4 in Product measurements were taken using size 11, width D - Medium. Please note that measurements may vary by size. Weight of footwear is based on a single item, not a pair. 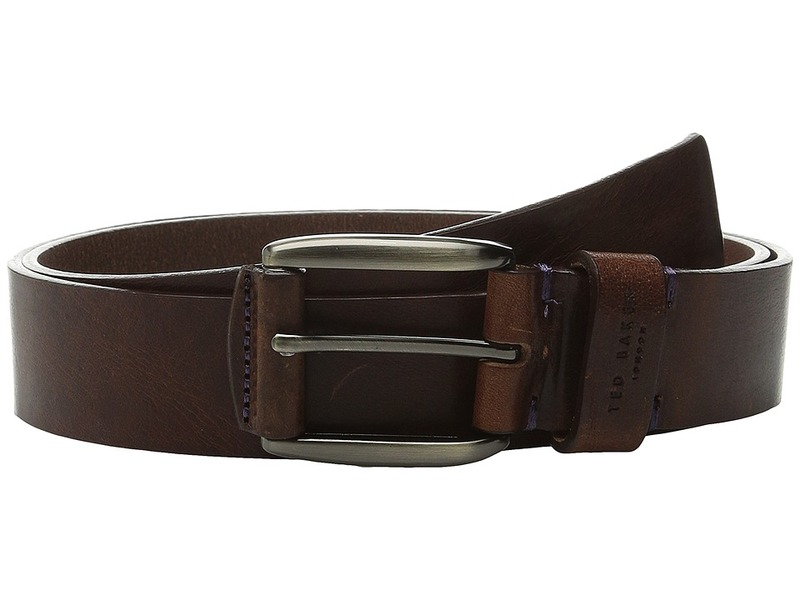 Let your collection standout with this classic Ted Baker belt! Made of leather. Polished, silver-tone buckle. Single metal keeper. Imported. Measurements: Width: 1 1 4 in First Hole Length: 37 in Last Hole Length: 41 in Weight: 5.4 oz Product measurements were taken using size 32. Please note that measurements may vary by size. 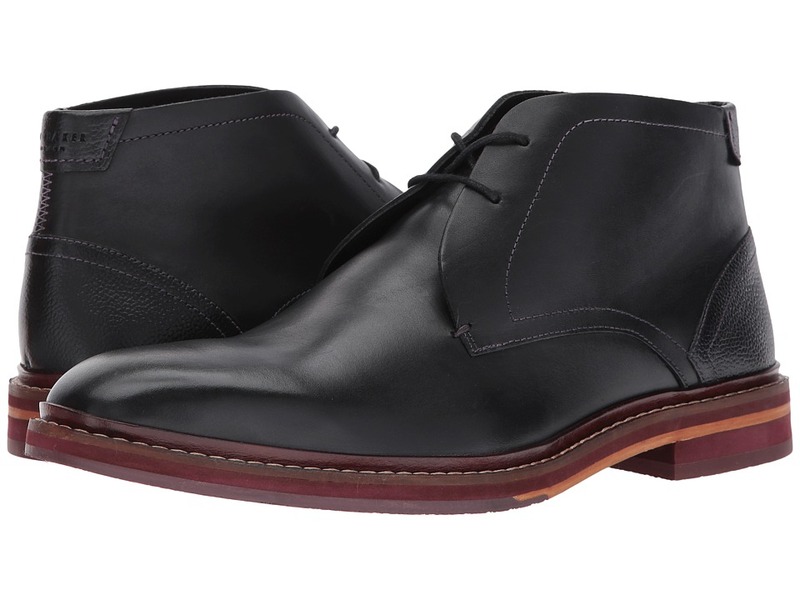 Choose these chukka boots for a fresh, but classic look. Leather upper. Lace-up construction. Round toe. Leather lining. Lightly cushioned leather insole. Stacked heel. Leather and synthetic sole. Imported. Measurements: Weight: 1 lb 10 oz Shaft: 4 1 2 in Product measurements were taken using size 11, width D - Medium. Please note that measurements may vary by size. Weight of footwear is based on a single item, not a pair. The Irron 3 is a gorgeous derby that emanates an air of sophistication and class. Leather upper. Lace-up closure with blind eyelets. Round toe. Stitched detailing. Leather lining and insole. Stacked heel. Leather outsole. Imported. Measurements: Weight: 1 lb 6 oz Product measurements were taken using size 12, width D - Medium. Please note that measurements may vary by size. Weight of footwear is based on a single item, not a pair. 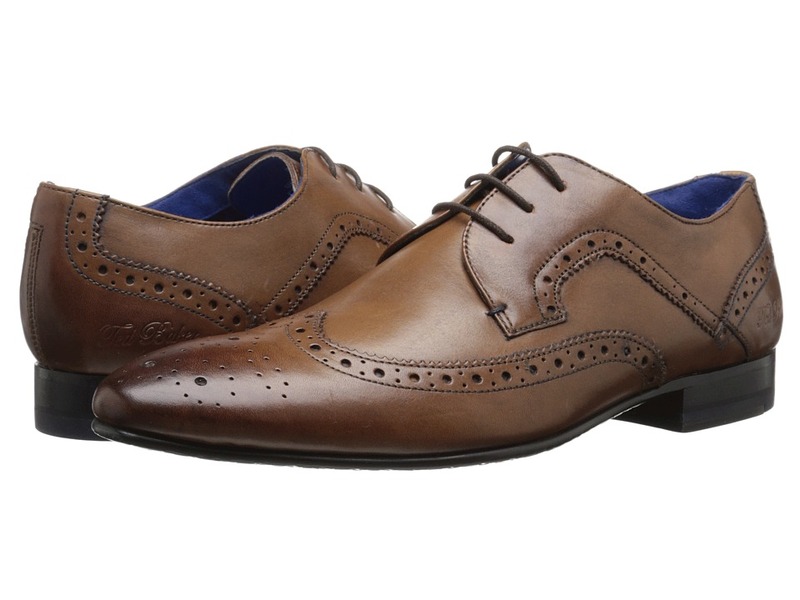 Classic wingtip detailing and rich surfaces make the Oakke the ultimate dapper brogue. Leather upper features classic brogue detail. Triple eyelet lace construction. Round wingtip toe. Fabric lined with padded leather insole. Stacked heel. Man-made sole. Imported. Measurements: Weight: 13 oz Product measurements were taken using size 8.5, width D - Medium. Please note that measurements may vary by size. Weight of footwear is based on a single item, not a pair. A timeless style with a modern look, the Rogrr 2 is sure to deliver style. Leather upper. 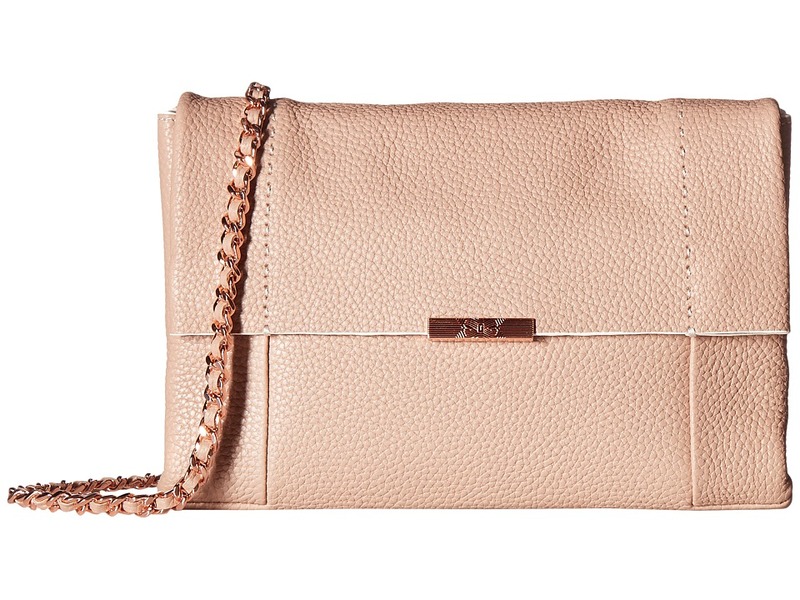 Hidden eyelet lace construction. Elongated cap toe. Leather lining and insole. Embossed logo detail. Man-made sole. Imported. Measurements: Weight: 14 oz Product measurements were taken using size 12, width D - Medium. Please note that measurements may vary by size. Weight of footwear is based on a single item, not a pair. 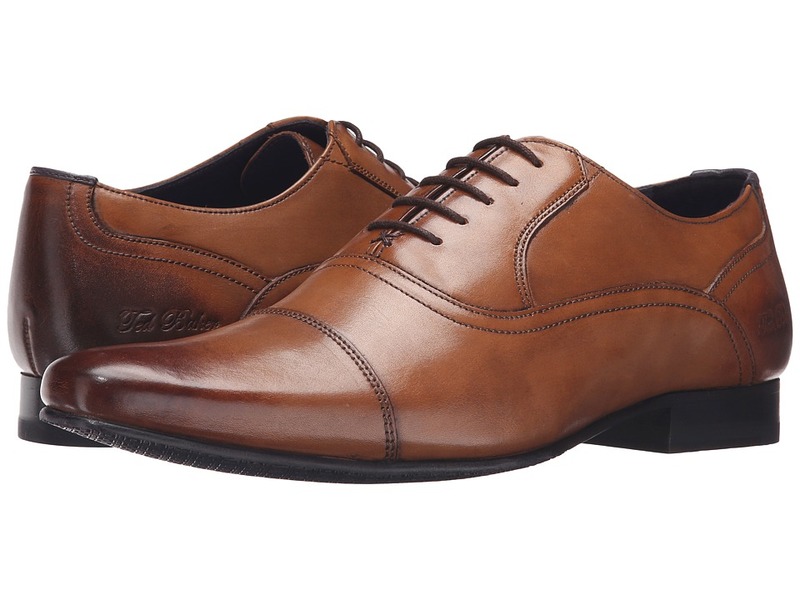 Step out feeling dapper in these traditional wingtip oxfords from Ted Baker. Leather upper features classic brogue detail. Blind eyelet lace construction. 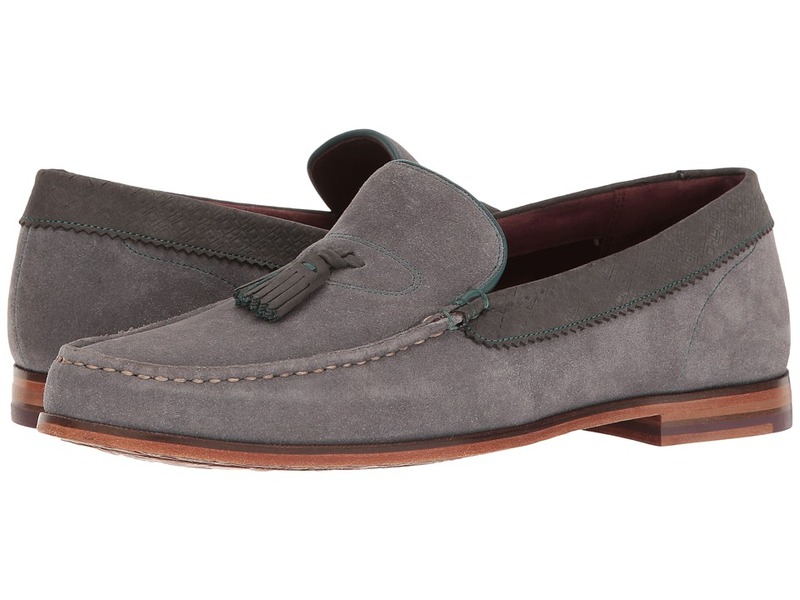 Elongated wingtip toe with medallion perforations. Man-made lining and insole. Stacked heel. Leather and man-made sole. Imported. Measurements: Weight: 1 lb 4 oz Product measurements were taken using size 10, width D - Medium. Please note that measurements may vary by size. Weight of footwear is based on a single item, not a pair. 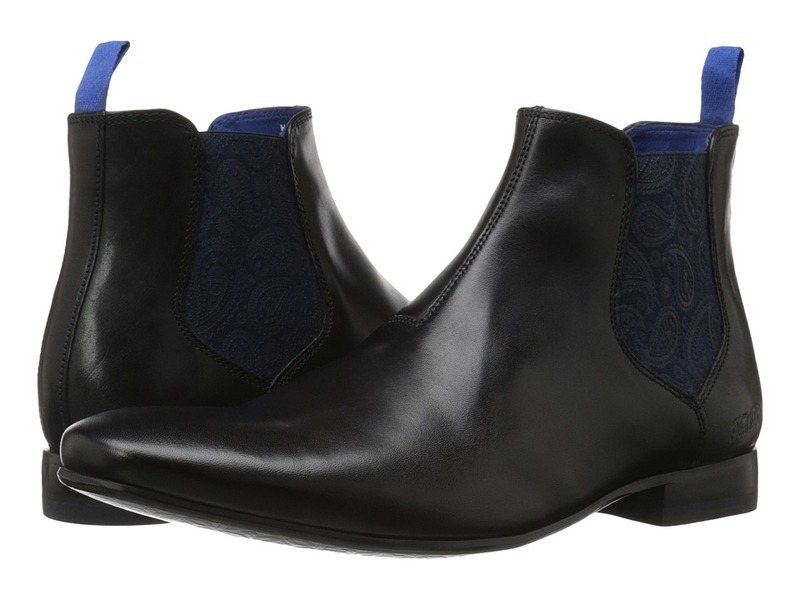 Go for extraordinary style with these jazzed-up chelsea boots. 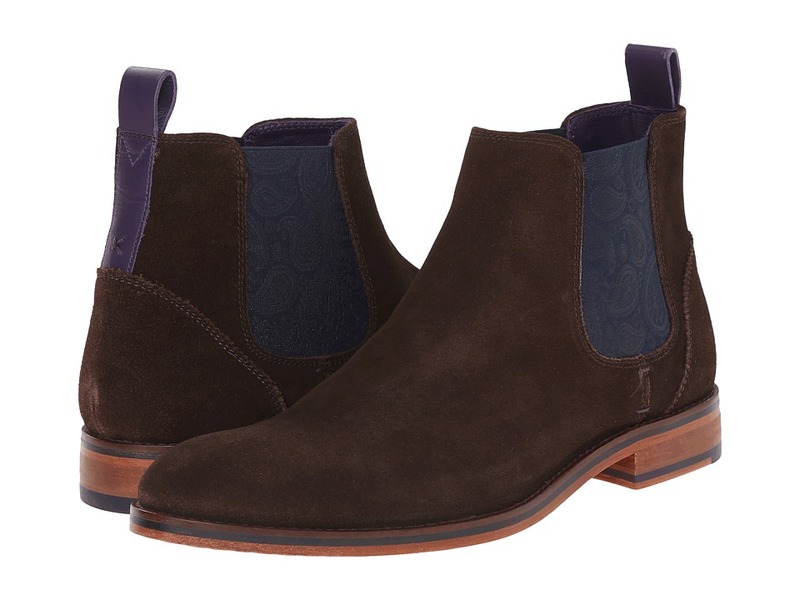 Rich leather upper features paisley-print goring on both sides. Pull-on construction with rear pull tab. Elongated round toe. Fabric-lined with cushioned insole. Low stacked heel. Synthetic sole. Imported. Measurements: Weight: 13 oz Circumference: 9 1 2 in Shaft: 5 in Product measurements were taken using size 8, width D - Medium. Please note that measurements may vary by size. Weight of footwear is based on a single item, not a pair. 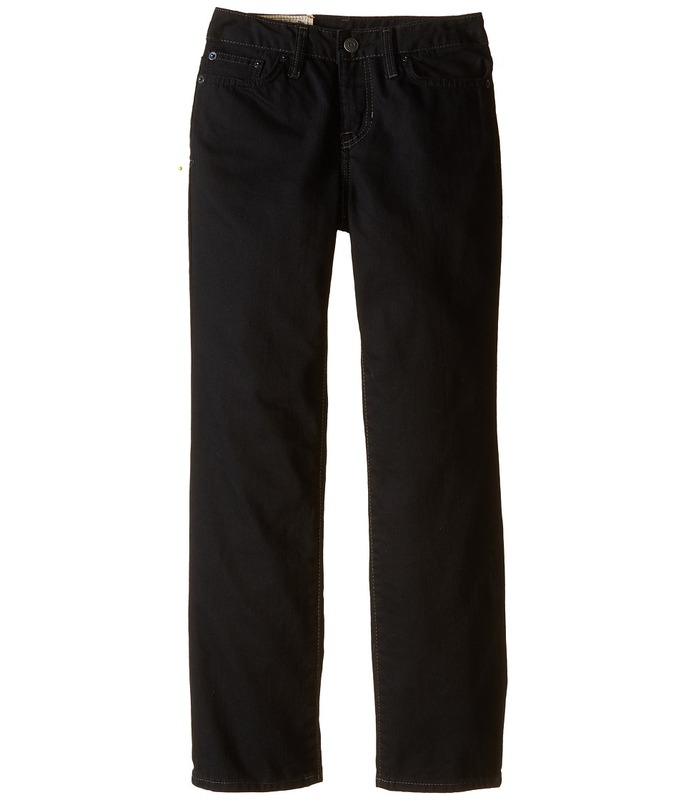 Skinny-fit jean for a modern look. Traditional washes with a bit of whiskering for a vintage feel. 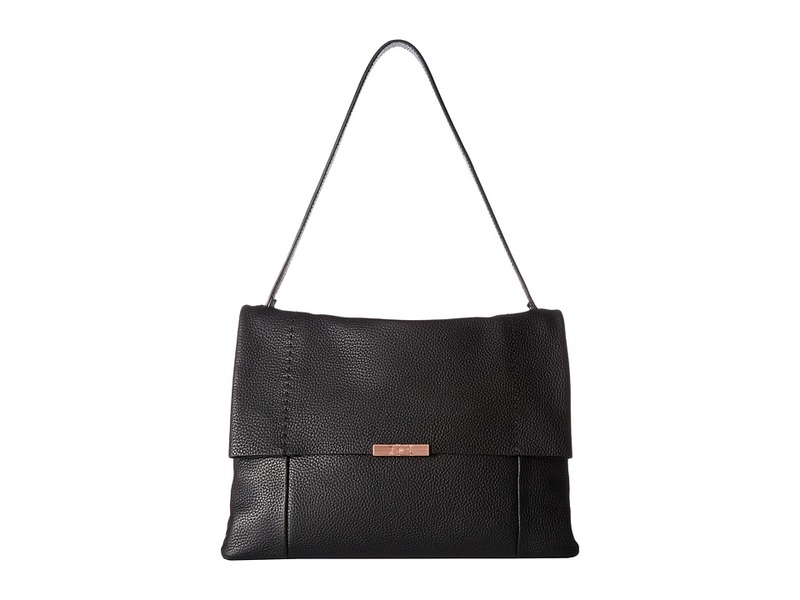 Button zip fly with signature shank closure. Five-pocket design. Logo tag at back waist. 100 percent cotton. Machine wash cold, tumble dry low. Imported. Measurements: Waist Measurement: 30 in Outseam: 42 in Inseam: 31 in Front Rise: 9 1 2 in Back Rise: 13 in Leg Opening: 14 in Product measurements were taken using size 20 Big Kids. Please note that measurements may vary by size. 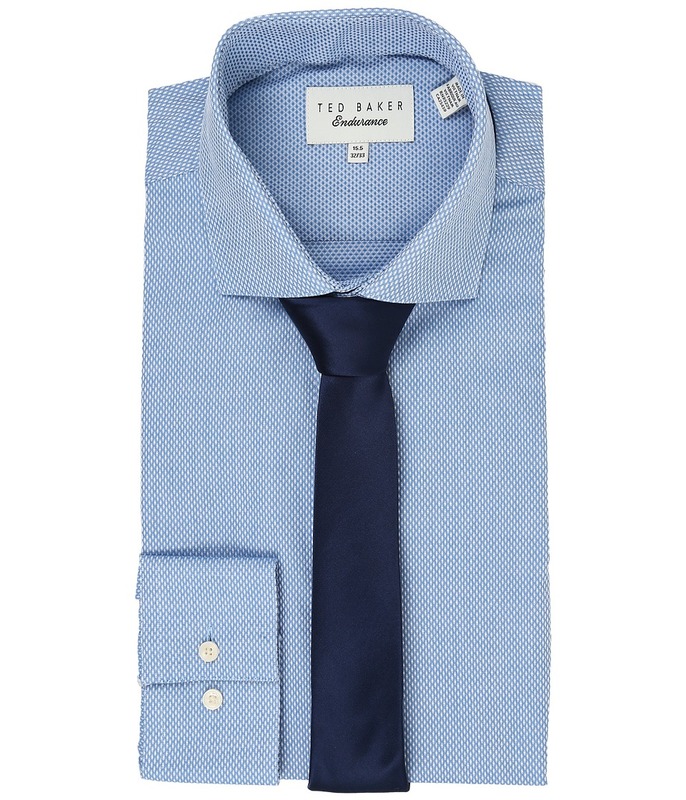 Create a refined and polished look with this suave Ted Baker dress shirt. Please note, pictured tie is not included. Slim Fit. Finely woven shirt sports a sophisticated diamond design with a textured finished. Spread collar. Long sleeves. Double button mitered cuffs. Contrast interior trim at collar and cuffs. Straight back yoke. Darts at back for a tailored fit. Contrast interior trim at button-front placket. Shirttail hemline with side gusset detailing. 100 percent cotton. Machine wash warm. Imported. Measurements: Length: 31 in Chest Measurement: 44 in Sleeve Length: 33 in Product measurements were taken using size 15.5 x 32-33. Please note that measurements may vary by size. Create a chic look from season to season with the Ted Baker Cencae flat. Leather upper. Slip-on design. Pointed-toe silhouette. Crisscrossing elastic straps at instep. Bow hardware detail at heel panel. Leather lining. Lightly padded footbed. 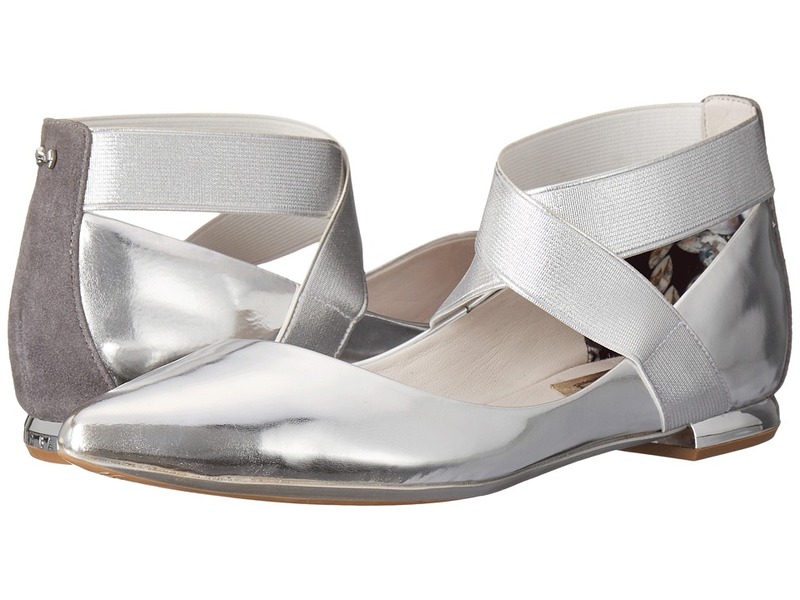 Metallic wrapped heel. Synthetic sole. Imported. Measurements: Heel Height: 1 2 in Weight: 7 oz Product measurements were taken using size 7.5, width M. Please note that measurements may vary by size. Weight of footwear is based on a single item, not a pair. Kick up your feet in style with the luxurious look and feel of the Ted Baker Dougge. Upper made of suede leather. Slip-on loafer construction. Tassel detail at vamp. Contrast stitching at moc toe. Leather and textile lining. Lightly cushioned insole. Leather sole. Imported. Measurements: Weight: 14 oz Product measurements were taken using size 11, width D - Medium. Please note that measurements may vary by size. Weight of footwear is based on a single item, not a pair. 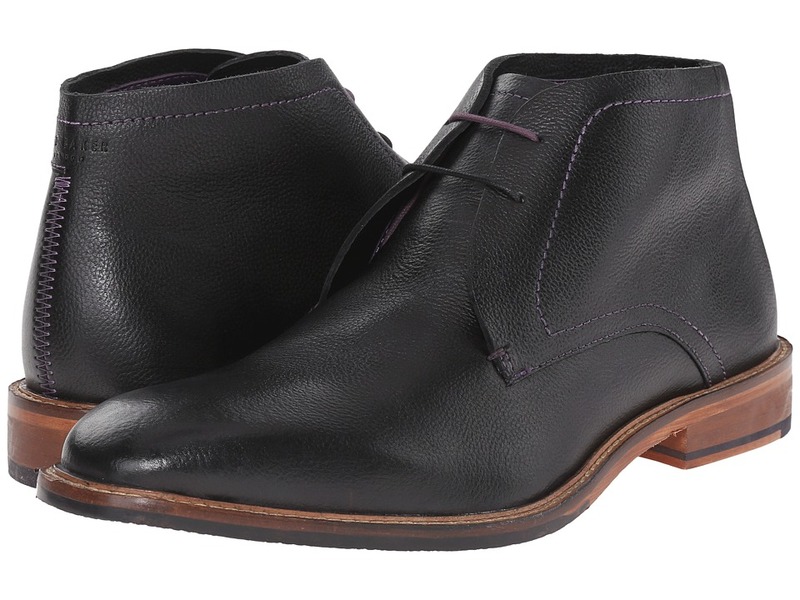 Choose these chukka boots for a fresh but classic look. Upper made of suede or smooth leather. Lace up closure. Leather lining. Lightly cushioned leather insole. Round toe with stacked, block heel. Leather and rubber sole. Imported. Measurements: Weight: 1 lb 1 oz Product measurements were taken using size 11, width D - Medium. Please note that measurements may vary by size. Weight of footwear is based on a single item, not a pair.